Tibet, a treasure-trove of natural resources, including water and precious metals, is a great strategic asset for China in its pursuit of an often improvident style of economic growth. The sprawling Tibetan plateau also arms Beijing with water leverage over downstream countries because it is the starting point for most of Asia’s great rivers, many of which are being heavily dammed just before they cross into neighbouring nations. China is sharpening its leverage with co-riparian India. Water indeed has emerged as a new divide in Sino-Indian relations, as Beijing quietly and opaquely builds dams, barrages and other structures on rivers flowing to India. It spurned then Prime Minister Manmohan Singh’s 2013 proposal that the two countries enter into a water treaty or establish an intergovernmental institution to define mutual rights and responsibilities on shared rivers. The flash floods that ravaged Himachal Pradesh and Arunachal Pradesh between 2000 and 2005 were linked to the unannounced releases from rain-swollen Chinese dams and barrages. At a time when the Doklam face-off has entered its third month and the risk of a Chinese military attack on India is growing, there is more troubling news: Beijing is fashioning water into a political weapon by denying India flood-related hydrological data since May, even as major flooding has hit the region from Assam to Uttar Pradesh. Data on upstream river flows is essential for flood forecasting and warning in order to save lives and reduce material losses. China’s data denial crimps flash flood modelling in India. In 1690, the East India Company established a new base in Bengal. To the evident surprise of his contemporaries, Job Charnock planted his new settlement at Kalikata between a swamp and the boggy banks of the Hooghly river, next to a temple of Kali, one of Hinduism’s most fearsome goddesses. Charnock was said to have bought the site “for the sake of a large shady tree”, an odd choice, wrote a 17th-century commentator, “for he could not have found a more unhealthful place on all the river”. It was “contrary to all reason”. Soon so many settlers died there that it “become a saying that they live like Englishmen, and die like rotten sheep”. Only a year later there were 1,000 living in the settlement, but no less than 460 burials in the graveyard. Over the years since then, Calcutta, now known as Kolkata, has rarely had a good press. “Calcutta,” wrote Robert Clive, “is one of the most wicked places in the universe... rapacious and luxurious beyond conception.” By the late 18th century, the British bridgehead in Bengal may have become a city of palaces, but it was still most famous for its notorious black hole prison and had a reputation as an edgy city where great wealth could be accumulated in a matter of months, then lost in minutes in a wager or at the whist table. Death, from disease or excess, was a commonplace, and the constant presence of mortality made men callous: they would mourn briefly for some perished friend, then bid drunkenly for his effects. Intensive parleys continued between NSAs of India, China quietly away from the public glare over telephone lines along with diplomatic efforts to resolve the crisis. A crisis of unprecedented scale, the Doklam standoff which ran for about two-and-a-half months, ended on time today before it could embarrass the leadership of both India and China at the BRICS summit which Prime Minister Narendra Modiis expected to attend. The 9th annual BRICS summit will take place in China's Xiamen on September 3-5. 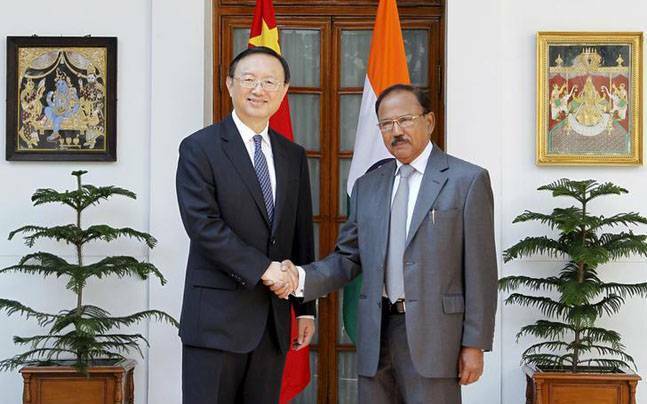 According to top government sources, the discussion on the breakthrough started when the National Security Advisor Ajit Doval met his Chinese counterpart, State Councillor Yang Jiechi, in Beijing during the BRICS meeting in July 27-28. The parleys continued between the two NSAs quietly away from the public glare over telephone lines along with diplomatic efforts to resolve the crisis. Chinese President Xi Jinping and PM Modi had decided that NSA Doval and his Chinese counterpart Yang Jiechi would talk to defuse the tension. The NSA and his equivalent met and had a long meet in Hamburg. On Monday, the ministry of external affairs in a two-point statement on the “Doklam disengagement understanding” announced an “expeditious disengagement of border personnel at the face-off site.” Typically, China’s official Xinhua News Agency confirmed the news as India’s withdrawal of troops, without mentioning if its own troops would also back off. As India prepares for the 9th BRICS summit to be held at Xiamen, China, from September 3 to 5, this could decrease tension between the two nations. But if the Indian Army chief’s comments are anything to go by, we should not be too optimistic, let alone be lulled into complacency. Delivering the General BC Joshi Memorial Lecture at Savitribai Phule Pune University on August 27, General Bipin Rawat warned that China is trying to “change the status quo” on our border and incidents like Doklam are likely to “increase” in future. China’s belligerence towards India is nothing new. In the last few years, we have been unable to move even an inch towards resolving our disputes along the 3,488-kilometre border we share with China. Thumbing its nose over India’s concerns, China has powered ahead with its $46 billion corridor through Pakistan-occupied Kashmir (PoK). This amounts to a refusal to accept that even PoK is a disputed area, let alone Balochistan, where the Gwadar port, the terminus of its uber-ambitious One Belt, One Road project, is located. Some 2500 years of diplomatic heritage and finesse was distilled down to an artful resolution to defuse the Doklam stand-off in a way that allowed both China and India to claim victory. The resolution – for now – has allowed hypernationalist constituencies in both countries to be mollified. There was no joint statement that would have explicitly shown whether the two sides were on the same page – or not. Instead, New Delhi said in a brief cryptic statement that ”expeditious disengagement” of border personal at Doklam has been agreed to and is on-going. Implicit in the statement was that both sides had agreed to the disengagement. 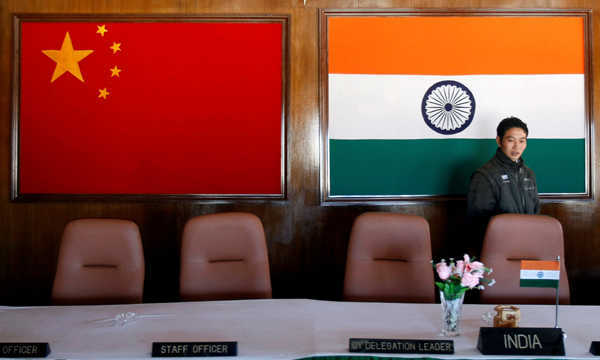 The Chinese Ministry of Foreign Affairs did not issue a statement but confirmed that there was an agreement in its daily briefing, while insisting repeatedly that only the Indian side had withdrawn. The spokesperson also added that the Chinese troops would continue to patrol the disputed area (which she insisted was sovereign Chinese territory) – a sop to China’s domestic constituency that its expedition was not in vain. But a closer reading, with helpful hints from New Delhi, shows the agreement in a different light. Chinese patrolling of the area was never an issue for India. China’s building of a road in the disputed area was, and remains. The two biggest militaries of the continent have finally agreed to call off their standoff after two months. The fact that Prime Minister Modi will be rubbing shoulders with Chinese President Xi Jinping in a week may have been instrumental in ending the confrontation. The incident is a sad commentary on the lack of trust that has kept the two nations estranged for over half a century. Other forces too have happily played a role in keeping animosities bubbling and distrust alive. The unilateral walk back by the Indian Army confirms that the contest all along has been over Bhutan, long considered by China as a bee in its bonnet. Ever since 1962, loyal Bhutan always stood by India’s side. Since India had a festering border dispute, it also kept dragging its border talks with China despite several blandishments including a seat on the UNSC. Nor did it permit China to open an embassy in Bhutan. For a country that aims to overtake the US, this Bhutanese demurral rankles and China did what it knows best — it tried to militarily pressurise Bhutan with a road at Doklam. The Indian Army’s intervention sabotaged China’s game plan, leading to the standoff and an unending cascade of angry remonstrations. Will China resume building roads in Doklam? 'While overall this is a face saving deal just before the BRICS meeting in Xiamen, any forward military movement at Doklam once again could bring the two Asian giants at loggerheads,' says China expert Srikanth Kondapalli. In a surprise move, India announced on Monday, August 28, afternoon that the 'ongoing' and 'expeditious disengagement of border personnel' from the Doklam area which witnessed a standoff between an estimated 200 to 300 troops each at the tri-junction area of India-Bhutan-China since mid-June. India's ministry of external affairs stated that this is an outcome of the 'diplomatic communications' between the two countries for the past more than two months. The modus vivendi of withdrawal and the context for such withdrawal, while not clear at the moment, suggest to some significant victories for India, even as China has a face saving solution. To begin with, when India sent troops to the Doklam area, it was mentioned that it is doing so to observe Article 2 of the 2007 agreement with Bhutan which has territorial claims on this area, and secondly that the security of the Siliguri Corridor would be questioned if China continues to build a road for military purposes. 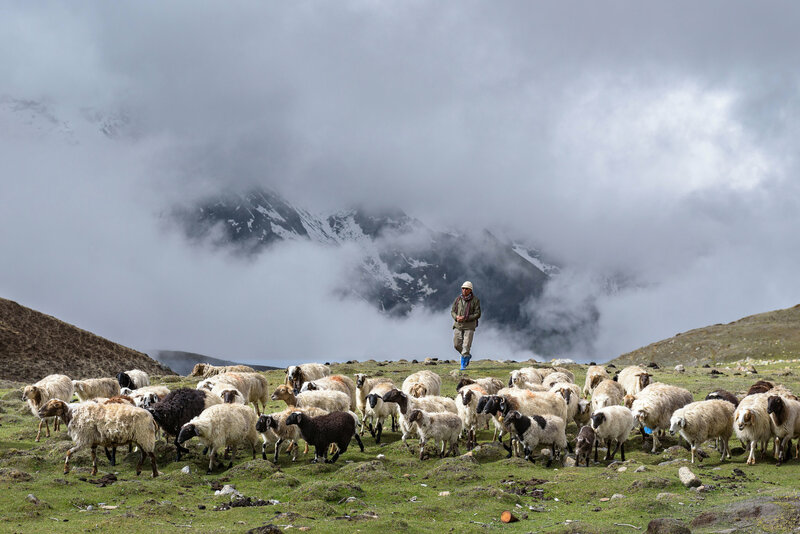 For hundreds of years, nomadic Dokpa yak herders moved between the high-altitude Tibetan Plateau and the Himalayan valleys of Sikkim, following migration patterns that were crucial to their culture and their livestock. Yaks had the opportunity to breed beyond their own gene pool; young people could meet potential spouses from a wide variety of families; Dokpas ran lucrative cross-border trade operations and visited sacred places where they performed important Buddhist rituals. With the outbreak of hostilities between India and China in 1962, however, the frontier between India and Tibet was sealed. Dokpa migration routes were severed and families were trapped on whichever side of the border they happened to be on when it was closed. Life for the nomads became increasingly difficult as they struggled to adapt their age-old survival strategies to their newly restricted territory. For those stuck on the Sikkim side, many challenges — including land mines that blew up their yaks and economic oppression by local, non-nomadic Lachenpa people — arose and persist to this day. In a prime time national address on August 21 from the Fort Myer military base, U.S. President Donald Trump laid out his long awaited strategy for “Afghanistan and South Asia”. After 16 years, Afghanistan remains America’s longest war. It has spent more than $800 billion and nearly 2,400 U.S. soldiers have lost their lives. The American people are now weary of this long war without victory — and Mr. Trump has characteristically promised, in the end, we will win! Launched with the full support of the international community in 2001 after 9/11 by President George Bush, the war in Afghanistan got derailed as the U.S. shifted focus and resources towards Iraq from 2003 onwards. The end objective of a stable and peaceful Afghanistan began to recede further and further as the Taliban launched their insurgency in 2005 after they had recovered, regrouped, refinanced and re-equipped themselves from their sanctuary in Pakistan. Since then, the insurgency has gathered momentum and also exposed the U.S.’s policy weaknesses. After taking over in 2009, President Barack Obama too had undertaken a major policy review describing the Afghan war as “a war of necessity”, “a war that we must win”. He went on to authorise a surge in U.S. troop presence from 55,000 in early 2009 reaching 100,000 in 2010. The objective was to gain a decisive victory over the insurgency. The simultaneous announcement that the drawdown would commence in 2011, and by 2014 the Afghan security forces would take charge of all combat operations, however, only encouraged the Taliban insurgency and also exposed the shortcomings of the Afghan army and the police forces, in terms of numbers, training and equipment to deal with the post 2014 situation. 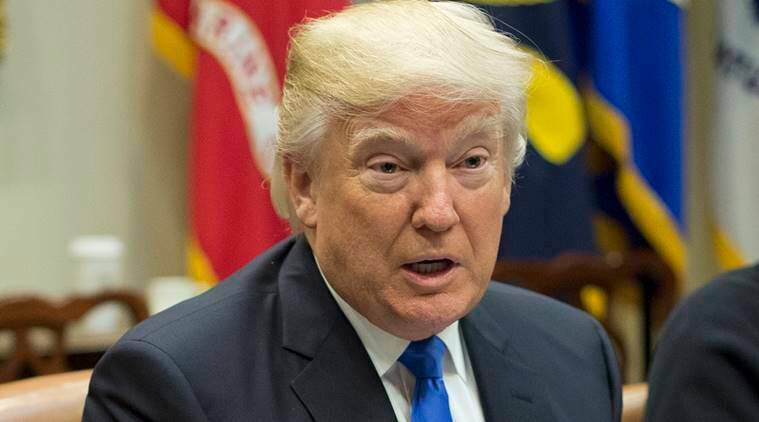 One of the important objectives of President Donald Trump’s new South Asia policy is to end the Pakistan army’s four decades of addiction to jihadi terrorism. While many in America think it’s a great idea, there are very few who are willing to bet on Rawalpindi kicking the habit. They point to the fact that support for terror sanctuaries has become too entrenched in the Pakistan army’s domestic and regional calculus. Jihad as foreign policy was indeed encouraged by the US in the 1980s and blessed by many leading Islamic countries, Western Europe and China as part of the global effort against the Soviet army’s occupation of Afghanistan. Pakistan’s support to violent extremism played a key role in trapping and bleeding the Russian bear in Afghanistan. It was critical in compelling Moscow to accept a humiliating withdrawal from Afghanistan at the end of the 1980s. As the Americans turned their back on the region in the 1990s, amidst the focus on constructing the post-Cold War political arrangements in Europe, Rawalpindi persisted with the jihadi strategy across its eastern borders with Afghanistan. It also lent a new edge to cross-border terrorism across its eastern frontiers in India. When America returned to Afghanistan and Pakistan after the 9/11 attacks on New York and Washington in 2001, it rightly underlined the urgency of draining the terror swamps in the north-western marches of the Subcontinent. But over the last two decades, America has discovered how hard it is to change Pakistan’s course. Presidents George W. Bush and Barack Obama found that neither money (military and economic assistance more than $30 billion since 2002), love (declaring Rawalpindi as a “major non-Nato ally”) or coercion (raining drones across Pakistan’s western borderlands) seemed to have any effect. KABUL, Afghanistan — Shortly after President Trump’s speech, a retired Afghan general recalled a Taliban fighter who had taken up arms after six of his sons were killed, one by one. The same AK-47 was handed down to each. Then the father was killed. After nearly 16 years of war, America’s longest, the Taliban are not only far from defeated, they are gaining ground. They also have evolved into a more tenacious foe than the one routed in 2001, making a United States military triumph seem more remote. Ever since 2008, when Adm. Michael Mullen, then chairman of the Joint Chiefs of Staff, said “we can’t kill our way to victory,” the cornerstone of American policy in Afghanistan has been not about obliterating the Taliban but pummeling them toward peace talks. President Barack Obama’s Afghan surge of 100,000 American troops failed to do this. Since the president announced his intention to bolster the U.S. contingent in Afghanistan, there has been a good deal of discussion about the tactical and operational parameters that the increase in forces will permit. Despite billing his approach as an overall strategy for South Asia, however, there has been less focus on the geopolitical and geoeconomic aspects of the problem. In particular, reconciling Donald Trump’s desire for victory with a continued stress on an “America First” approach requires facing several critical issues that, so far, appear to be unaddressed. The first is that the effort to achieve a self-sustaining Afghan security force structure—the notion that there is a glide path to wean Afghanistan off of massive amounts of external assistance in favor of being able to pay for its national security out of its own resources—is self-defeating. In the modern era, Afghanistan’s entire raison d'être as a state was to serve as the neutral keystone state buffering the major empires and powers while guaranteeing safe passage for goods and services traversing the various north-south and east-west Silk Roads. The very borders of Afghanistan were based not on ethnographic criteria but the need to separate the Russian, Chinese and Persian Empires from each other and the British Raj. The outside powers were therefore prepared to subsidize an Afghan state that could bribe and cajole the various tribes and factions to keep a modicum of order. Following the strategic logic that Derek Reveron and I have laid out, it was cheaper and easier for the major powers to pay Afghans to keep order than to waste blood and treasure (that is, to kill and die) trying to do it themselves. The relationship between Naypyidaw and Delhi is not smooth sailing, despite the recent visit of Myanmar military officers to India. Naypyidaw’s announcement about not setting up a trading zone at the Indian border, due to a lack of basic infrastructure and low trading volume, ends the series of negotiations between India and Myanmar for border trading. Although the India-Myanmar border is more than 1600 kilometers, border trading is still a castle in the air, as Myanmar needs infrastructure upgrades. Three weeks after this announcement, India imposed a restriction on importation of pegon pea, toor dal, uradand moon dal. This restriction directly affects the Myanmar, with over 700 tons of pea and dal, approximately worth $500 million, now holding at warehouses. Although the trading guild informed the government of negotiations on the August 8, Naypyidaw’s diplomatic attempts on securing a safety net seem to be failing. This commodity represents approximately four percent of total export from Myanmar. India is not the only country to impose restrictions on the import of agricultural products. China also restricted rice and sugar importing from Myanmar; however, commodities are smooth flowing through border trading. 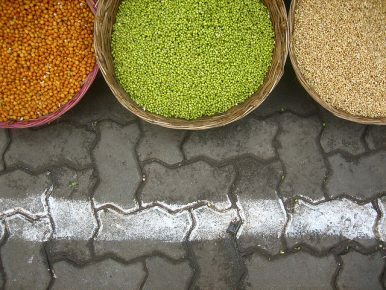 There may still be border trading along the Myanmar-India border and Tamu trading post, but dal is already a surplus commodity in India and the competition may tight for imported dal. 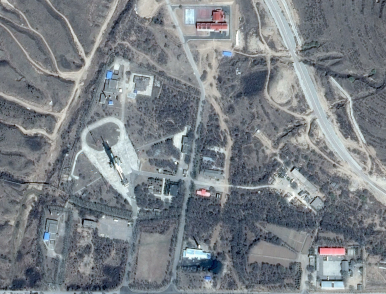 Given that the DF-4 is no longer a primary component of the PLARF’s targeting, it’s also unclear what specific purpose Wednesday’s test was intended to serve. China has conducted multiple ballistic missile launches recently, but has mostly focused on its newer intermediate-range ballistic missiles, solid fuel missiles, and long-range ground-launched cruise missiles. Chinese smartphone users have the world at their fingertips. With a few taps, they can order food, message their friends, send money, read the news, play games, hail a taxi, pay off utility bills, and more through a single app like WeChat. But there’s a catch. All this convenience comes with a heavy price: their freedom and privacy. Thanks to China’s Internet giants – Baidu, Tencent, and Alibaba – the authoritarian regime now has the means to monitor a user’s every action, purchase, thought, and location in real-time. 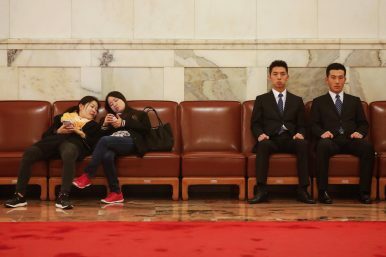 The Chinese government has long sought the means to more closely keep tabs on its citizens, but with smartphones, people are voluntarily logging their every move for the government in a single, convenient place. While tech titans like Google, Amazon, and Facebook have become essential to the daily lives of many Americans, their reach pales in comparison to their Chinese counterparts. This year, 79.1 percent of all smartphone users in China are expected to use WeChat, a messaging app, with nearly 500 million people using it at least once a month. To put that in perspective, that’s more than the entire population of the United States, Canada, and Mexico combined. Will Beijing still choose to go for even a limited military option? It’s evident that China’s probing thrust in Doklam in June (principally it wasn’t much more than that), more than anything else, was designed to test India’s strategic antenna and its resolve to defend its self-image and status in the region and the world. Beijing would have been surprised by the quickness of the Indian response, which demonstrated a readiness to not walk away from a “military standoff” if need be, while emphasising a diplomatic resolution, preferably one that is located in a benign political and philosophical perspective and framework which allows next-door neighbours that are leading powers with wide ambitions, to cooperate as a maxim but not flinch from competition. This had been pretty much the story since Rajiv Gandhi and Deng Xiaoping reached a concord in 1988, followed up in 1993 by P.V. Narasimha Rao signing the border peace and tranquility agreement during his visit to China. This situation persisted through the Atal Behari Vajpayee years and the early Manmohan Singh years. But China’s ambitions skyrocketed with US companies locating operational bases in China on an impressive and unprecedented scale — very rapidly enriching its economy, industry and trade beyond the wildest dreams of the once aspiring communist state. As I noted in my post yesterday, the Chinese government has declined to clarify how and whether it believes the international law governing the use of applies to cyber warfare. Its refusal to do so has drawn sharp criticism from the U.S. and other cyber powers. But while the Chinese government has not set forth a clear statement on these issues, Chinese scholars and media commentators have outlined important principles that may become part of official government policy. Drawing on my recently published paper for the Hoover Aegis Paper Series, this post sketches out some key themes on international law and cyber warfare gleaned from Chinese legal scholarship. The Pentagon may have far more troops serving in Iraq, Syria and Afghanistan than it has officially told the American public, due to the way some forces aren’t included in an official count. Officially, the Pentagon has set force management levels of 8,448 for Afghanistan, 5,262 for Iraq and 503 for Syria. But there are far more troops in all three places, as not all of those units are required to be counted against the force management levels. Defense Secretary Jim Mattis has previously acknowledged the discrepancy. On Tuesday, Mattis said that before he adds any of the potentially 3,900 troops the Pentagon seeks to carry out President Donald Trump’s revised strategy for Afghanistan, he would square how many troops are there now. “The first thing I have to do is ‘level the bubble,’ and account for everybody that is on the ground there now, the idea being that we’re not going to have different pockets that we are accounting for,” Mattis said. As of April, there were more than 7,000 forces on the ground in Iraq and more than 900 in Syria, defense officials have previously said on the condition of anonymity. On Tuesday the Wall Street Journal and NBC reported that the actual number of forces in Afghanistan at present is about 12,000, citing unnamed sources. "… the American continents, by the free and independent condition which they have assumed and maintain, are henceforth not to be considered as subjects for future colonization by any European powers." When U.S. President James Monroe spoke these words in an address to Congress nearly two centuries ago, the United States was a young nation. Memories of a devastating war with Britain were still fresh, and European powers were the undisputed overlords of much of the planet. But the birth of the Monroe Doctrine, as the principles laid out in his speech came to be known, was an important moment for the budding power. By declaring an entire region to be its backyard, and therefore out of bounds to the European great powers of the day, the United States sought to carve out space to safeguard its territory and interests. In return, Washington promised not to intervene in the Continent's internal affairs. Fast-forward to today, as Russia intervenes in Ukraine and China extends its reach in the Asia-Pacific. There seems to be no more appropriate time than now to ask what backyards mean for modern geopolitics, and what constraints exist to their formation. It is 2020. North Korea crosses the Rubicon. With intelligence estimates indicating the imminent launch of missiles against South Korea, Japan, and possibly the United States, Korean and allied officials opt to launch a limited spoiling attack. Special operations forces attack high-value targets and sabotage critical lines of communication, using a network of quadcopters for intelligence, attack missions, and secure communication. Manned-unmanned teams of Apache attack helicopters and Gray Eagle drones attack artillery, command and control, and air defenses on the forward edge of the battlefield, freeing up artillery units, including long-range missiles, and fifth-generation aircraft for deep interdiction missions. An artificial intelligence-enabled command network helps staff prioritize missions and anticipate resupply issues. Missile defense and cyber protection teams protect assembly areas. Civil Affairs teams use biometric kits and big data platforms to register refugees, coordinate humanitarian relief, and map the human terrain. There are two current trends in the Middle East that threaten to enable a nuclear arms race. A third offers a way to prevent it. The first concerns the very aggressive pace of Russia’s efforts to expand its influence throughout the Middle East from Egypt through Syria to Iran, and in the process to displace the United States as the preeminent power in the region. This is not a new phenomenon. For centuries, Russia has sought to gain assured access to the world’s oceans and to overcome the impediments posed for example, by the Bosporus and Turkish Straits which stand in the way of that access. Their ultimate goal is to ensure access to distant critical resources and to control choke points vital to the flow of global maritime commerce. Throughout the past two years, the U.S. government has watched passively as Russia intervened in the Syrian Civil War on behalf of Syria’s brutal dictator, Bashar al-Assad. Moscow’s intervention has little to do with the welfare of the Syrian people, and everything to do with securing port facilities at Tartus and an air base at Khmeimim. Now under Russian control, these two bases will serve as the western anchor of their strategy to link Syria (and ultimately Iraq) with Iran. Russia’s support for Iran’s nuclear power program and its generous offers to sell state-of-the-art sophisticated weapons to the Khamenei regime, gives it powerful influence over Iranian policy. Moscow has already been allowed to launch tactical air missions into Syria from an Iranian air base. This paper argues that while conventional military tensions are building with North Korea, Western allies should prepare for a dramatic increase in conflict against non-state actors engineered by, with and through States whose resource and strategic geo-political interests are in direct competition with the West. These small wars will continue to rise and fall in their intensity across existing fronts, such as Afghanistan and Yemen, and evolve across new mediums of conflict such as cyber, economic and the infiltration of our borders by violent and non-violent supporters and facilitators of these non-state actors and their State sponsors. New non-state actor relationships could also form where both parties conceive a mutually beneficial interest. The preparation, planning and implementation to counter this future trend will require non-linear strategies as well as our own novel symbiotic relationships that neutralise the effectiveness of non-state actors threatening our foreign and domestic security. Whether al Qaeda (AQ), the so called Islamic State of Iraq and Syria (ISIS), Antifa G20 rioters, Somali pirates Wikileaks, the Taliban, Hezbollah or trans-national criminal organisations, non-state actors continue to demonstrate their capacity to impact warfare, security, geo-political stability and investment around the world. For example, outside the July 2017 G20 meeting in Hamburg rioters demonstrated how quickly a non-state network could create chaos within a modern, stable and economically strong major European city. As military historian Max Boot (2013) explains it is guerilla warfare that has dominated conflict throughout history. In their examination of the use of non-state actors by Russia in the context of the crisis in the Ukraine, German and Karagiannis (2016) explain that in the post-Cold War era there has been a change in the distribution of power throughout the international system. This has seen the emergence of non-state actors threatening to alter the hegemonic dominance of traditional state-based power. Thirteen years of negotiations at the United Nations aimed at restricting cyberwarfare collapsed in June, it has emerged, due to an acrimonious dispute that pitted Russia, China and Cuba against western countries. The dispute among legal and military experts at the UN, along old cold war lines, has reinforced distrust at a time of mounting diplomatic tension over cyber-attacks, such as the 2016 hacking of the US Democratic National Committee’s (DNC) computers. That break-in was allegedly coordinated by Russian intelligenceand intended to assist Donald Trump’s presidential campaign. Negotiations aimed at forging an international legal framework governing cybersecurity began in 2004. Experts from 25 countries, including the UK and all the other members of the UN security council, participated in the discussions. But in June, diplomats at the UN abandoned any hope of making further progress, amid a row centred on the right to self-defence in the face of cyber-attacks. At previous sessions, officials accepted that the principles of international law should apply to cyberspace, including the UN charter itself. Article 51 of the charter states that nothing shall “impair the right of individual or collective self-defence” in the face of an armed attack. This paper examines the potential applications of big data by national security communities, with a particular focus on this technology’s possible use by Australia. The topics covered include 1) the problem of the sheer size of the data available and the ways to manage this issue; 2) key trends in big data, such as the convergence of big data and machine learning; 3) the factors driving national security communities to adopt big-data analytics; 4) the potential national security applications of entity recognition and tracking as well as predictive analytics; 5) the limitations and risks of big data, and more. As it is currently being practiced, the cyber norms-building process is firmly grounded in the belief that diplomatic consensus can shape state behaviour in cyberspace. Proponents of the norms approach regularly point to the 1968 Treaty on the Non-Proliferation of Nuclear Weapons (NPT) and the 1972 Chemical Weapons Convention (CWC) as evidence that normative taboos can influence international perceptions and ultimately affect national decision-making processes. The Virtual Weapon and International Order. By Lucas Kello. Yale University Press; 319 pages; £25. To be published in America by Yale in September; $35. THE woes of international-relations theorists do not usually elicit public sympathy. But “The Virtual Weapon and International Order”, Lucas Kello’s lucid and insightful book on the politics of cyberspace, does a good job of persuading the reader of the near-vacuum that prevails in academic work on the threats to people’s computers and networks. New technologies, he argues, have upended conventional understanding of the way states deal with defence and deterrence. 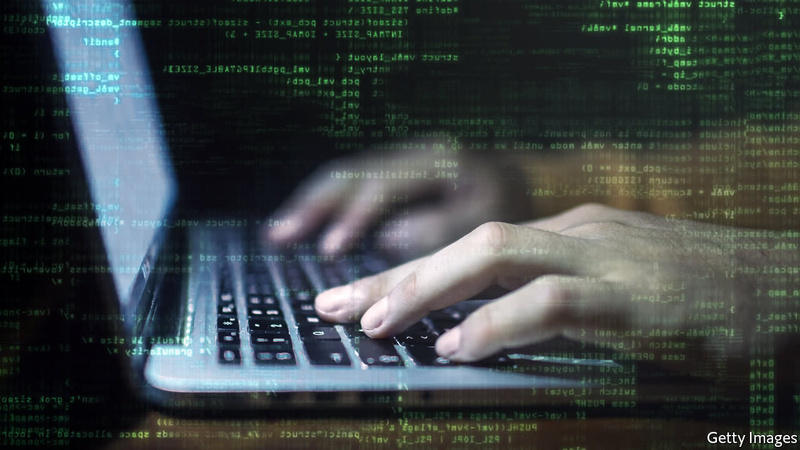 The threat is pervasive; a cyber-attack can hit anything from a missile-control system to a media website, with potentially profound consequences. Geography is irrelevant. Old thinking about defending a perimeter makes no sense when the adversary is probably already lurking in your networks. The simpler techniques may be used by all manner of adversaries: criminals and hooligans as well as spies and soldiers. These categories may overlap. Attributing an attack is more difficult. The shift is much bigger than from past changes in military capability—the author highlights the use of submarines, powered flight, tanks, radar or nuclear weapons. Some academic colleagues still maintain that nothing new has really happened; technological change does not fundamentally alter the understanding of warfare. Mr Kello lambasts such sceptics on both practical and theoretical grounds. This article originally appeared at CIMSEC. These are exclusively the personal views of the authors and do not necessarily reflect the views of the U.S. Naval War College or the Department of Defense. Security researchers do not believe in coincidences. In the past few weeks, a very rare event – a U.S. Navy destroyer colliding fatally with a huge commercial vessel – happened twice in a short period of time. These incidents followed a collision involving a cruiser off Korea and the grounding of a minesweeper off the Philippines, and have now resulted in the relief of a senior Seventh Fleet admiral. Surface warfare officers (SWOs) look to weather, sensors, watchstanders, training requirements, leadership and regulations (COLREGS) as possible contributing factors to the collisions. Cyber security scholars, in contrast, first look to the underlying complex technologies trusted by the crew to determine the proper course of action. With the advancements in navigational technology, computer-aided decision making and digital connectivity, it is human nature that seafarers become more dependent on electronic aids for navigation and trust the data the systems provide. While the U.S. Navy emphasizes verification of this data by visual and traditional navigation means, the reality is the social acceptance of the validity of electronic data is a feature of modern culture. The U.S. Navy, with an average age in the early 20s for sea-going sailors, is not immune from this effect. But what if the data is invalid or, as an extreme possibility, subject to outside manipulation?